In a second exciting show of the young 2016 season Xtreme Bass Tackle™ will be bringing in a boatload of the tube that sold out in January, Sweet Green™. If you missed stocking up on the “top bait of 2015” come to Outdoorama to get them and more. More includes the full line of Xtreme Bass Tackle products plus NEW No Secrets on Lake St. Clair™ seminars which will feature a newly launched website, St. Clair Report™. 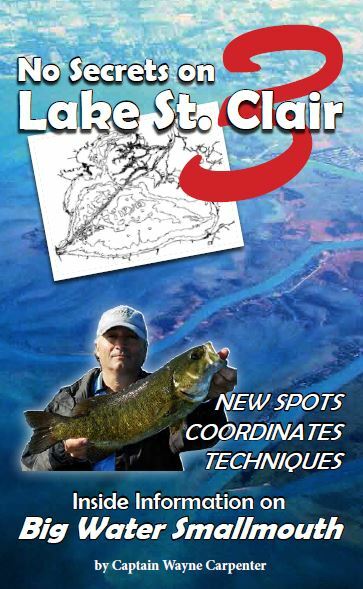 Anglers who want to stay on top of everything having to do with Lake St. Clair can now have a single source for the top news items plus fast access to tools to increase your catch. See more about the St. Clair Report™ in an upcoming blog. The Outdoorama will be held at the Suburban Collection Showplace in Novi, Michigan on February 25th – 28th. Alewife is the latest in a relentless effort on the part of Xtreme Bass Tackle to bring the very best competitive tools in the field of competitive bass fishing. If the year 2013 taught us one thing about the feeding habits of smallmouth bass, they were feeding at the surface and in the mid-ranges of the water column like rarely seen before. Their prey…the alewife! During research outings we cast at schools of bass chasing minnows to the surface. With the baits that we had available we had limited success. We could see the big bass but most of the time they would pass up what we were offering. The ones we did catch would throw alewife up on the deck of the boat. That’s when I decided a new bait design would be the advantage we were looking for.